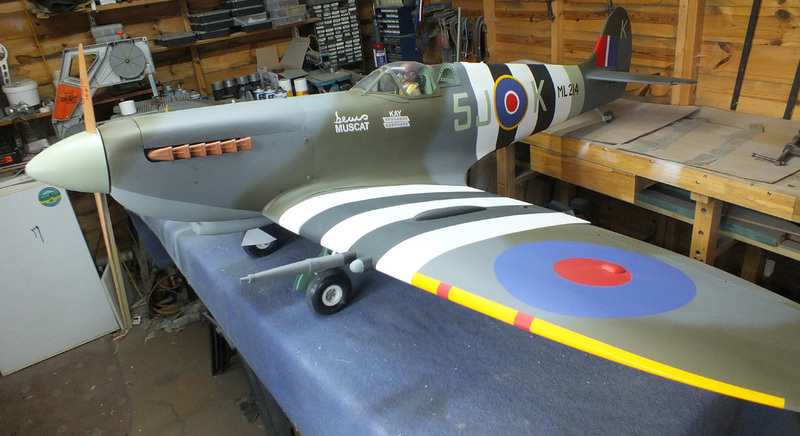 it's had some taxing trials, with a view to giving it a maiden flight, but found a few minor adjustments needed, so now just waiting on weather and suitable time. Dave is still waiting on the retracts for the two Wildcats he is building. So while he's waiting he has got a Flying wing on the building board ! 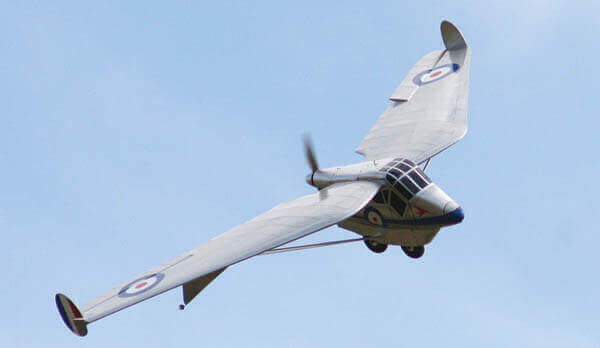 it's a Westland-Hill Pterodactyl Mk.IV. Here's Nick latest 'shed work'..... an Acro-WotXL. silence 20X12 carbon prop. Rubber engine mounts were used to make the model as quiet as possible. MacGregor HV servo's and LiPo RX batteries 2200Mah X2. snapped. It was replaced with a carbon fiber one. Fly's like on rails, no nasty habits. 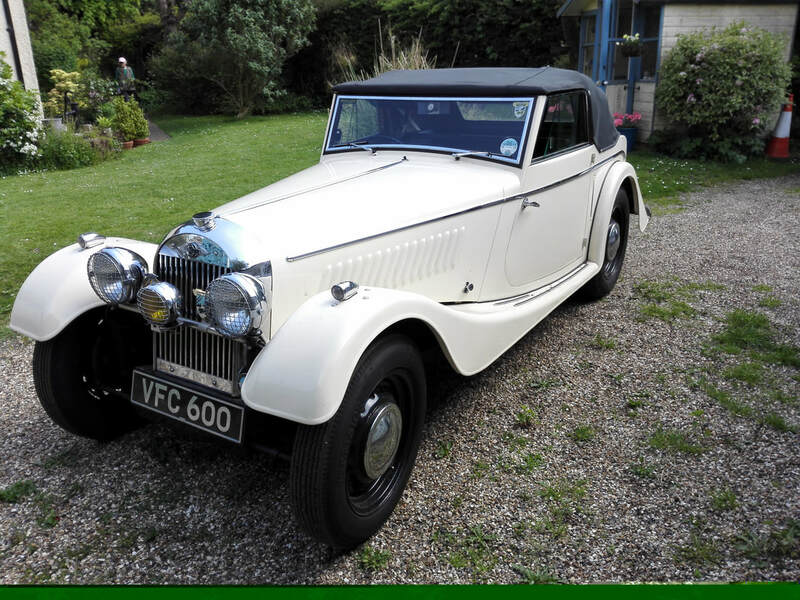 of his brothers 1952 Morgan + 4........ the 'full size' version above. 24 ins overall length, approx 1/6 th scale. them making it approx 1/6 th scale. moulds made and cast in resin, with a working suspension on the front ! 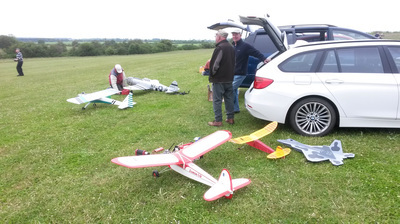 The ashes of the late Mike Tew were scattered on the airfield at Muckleburgh, a small party of club and family members were present, along with Sir Michael Savory. Mince Pie Sunday (18th December) has been re-introduced this Christmas as we have a nice new caravan to sit and scoff in..... and have a few flights despite the cool breeze. One flight in August last year. The model is to about one third full-size. 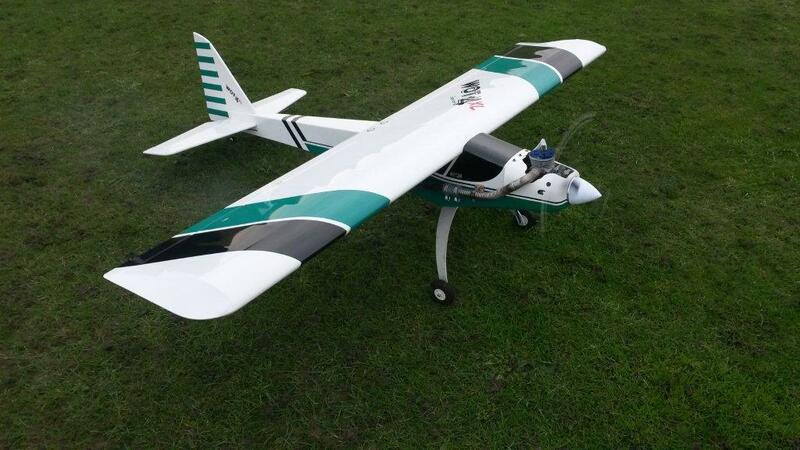 (Andrew doesn't use the word "scale") giving a wingspan of 13 ft. Power is two DLE 55 RA petrol 2 stroke and 22x10 Falcon props. Weight 57 lbs but some of which is expected to come out after further trimming. Construction of light-ply, ply, Hoover handle, balsa and Sig Koverall. The colour is that of a Spanish civil war example of around 1937. 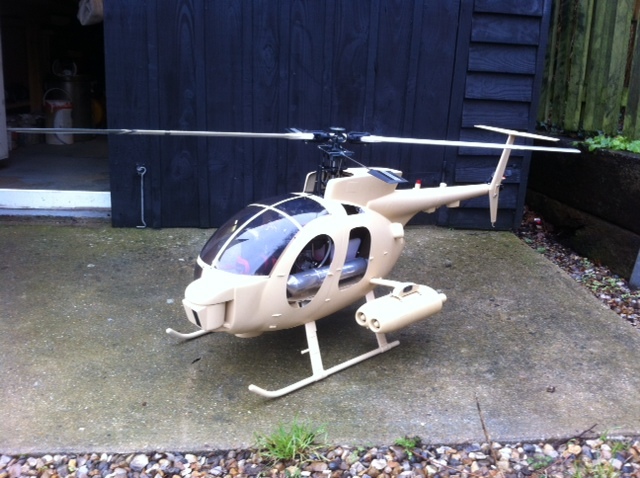 The model has two Futaba Rxs (FHSS) on five channels and five cell Ni-Hy battery’s. 1/6th scale. Fitted with Trex 600 nitro mechanics. The engine is an OS 50 hyper nitro. Painted in desert sand. Dave has not decided on a scheme yet. It will be either US Army Rangers or it will have Israeli Air Force markings..... It will be nice to see a scale helicopter on the field for a change. 1929, early airliner designed by Robert Noorduyn for Fokker USA. (Noorduyn later designed the NA Harvard and DH Beaver). cockpit and 5 passengers in the cabin. No Hostess or drinks trolley!!! 72" Span. Colours of West Canadian Airlines. Scratch built to my own drawings scaled up from the 3 view. 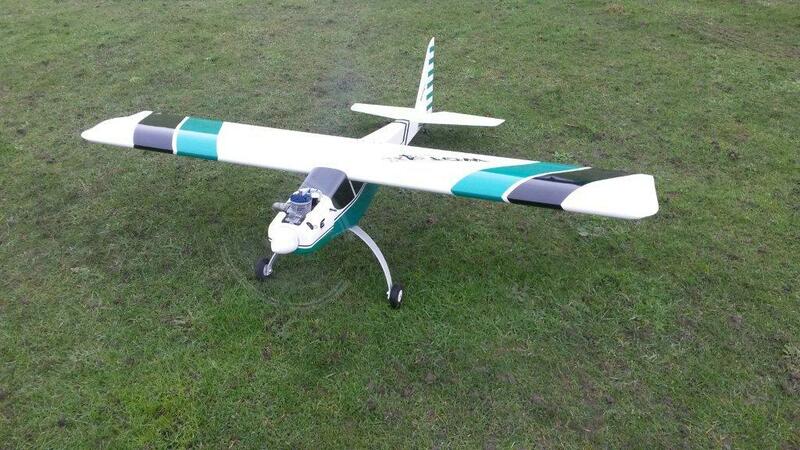 Fitted with an AXI 2826 motor, 80amp ESC, 13x6 Prop. Flies like my Beaver on permanent full flap! 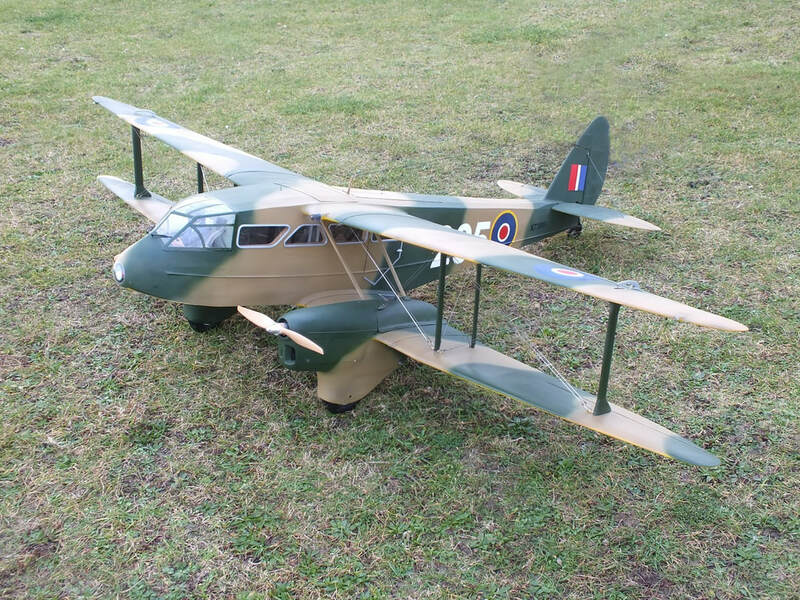 Just look at these photo's of Roys V1. If you did not know it was a model you might be worried. It fly's with a 3 cell LiPo and a folding prop, with a 60Amp ESC. 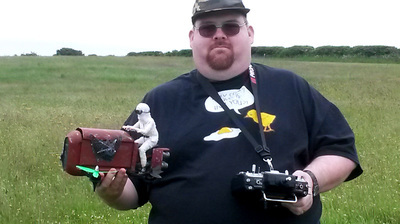 The model is all Roy's own work, he designed and built it from scratch. 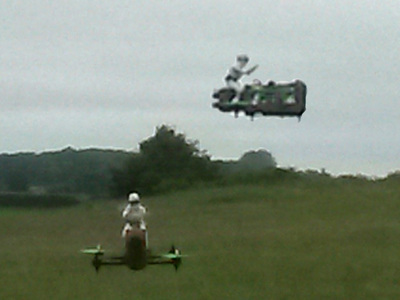 It was hand launched but will also fly from a dolly. Well done Roy, good work. 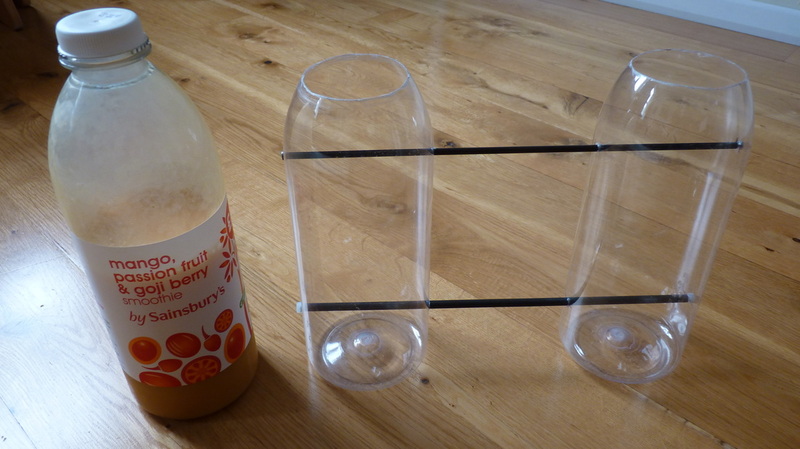 After going to Worstead Festival with my grandson and trying some basic 'water rockets' there, we thought that we would have a go at making one as well. 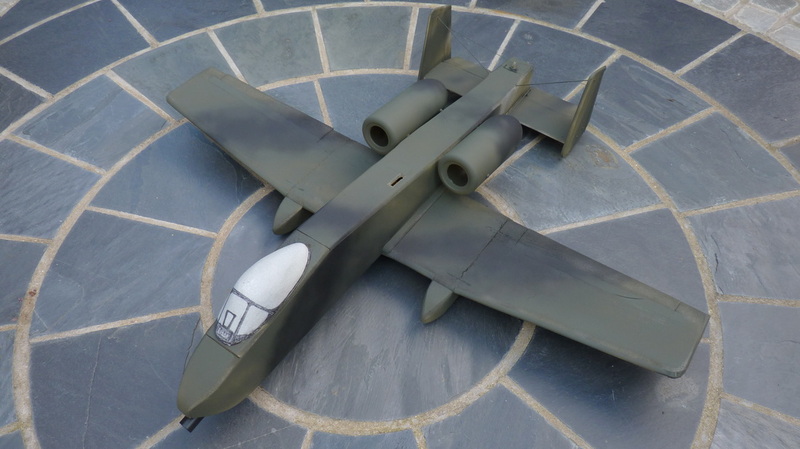 Also on my bench, a scratch-built, electric pusher, depron A-10. An A4 size printout of a fullsize 3-view drawing, scaled up by 5.75, gave a 42" wingspan....... has now flown successfully .......(and twice not so successfully! 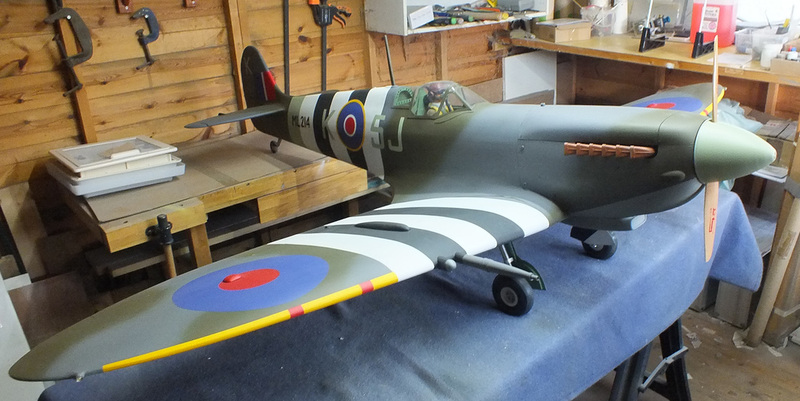 ).....after a 'new nose' was fitted, dummy engines realigned, motor thrust angle adjusted, and CofG position moved. A beautiful afternoon and evening at Muckleburgh saw the June monthly meeting well attended....... 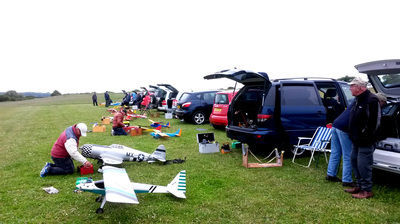 It would be nice to see the flying field like this more often...... Gordon set up the limbo poles and a few brave souls had a go! The Club once again put on a very good display of models and flying in aid of the Muckleburgh Collection open weekend recently. about to get that licence endorsed for passenger - it's all go here. solo, as you did 99% of the work !! And on 11th. April, I'll be 81!!!!!!!! me after first solo. Peter Lee's plane, I've flown a few times. OUR house, the slate roof, 3 roof windows,sheet in middle of our field, orchard off to right. on ground. Coo,,,,,,, flown 5 different planes in all. About 450 or more take-offs and landings, nothing broken yet. Early on, Instructor had me do 10 of these, consecutively, tiring, but building up confidence.